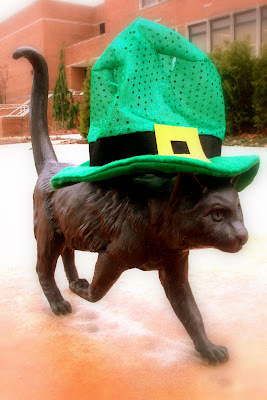 For St. Patrick's Day, my mother mailed both me and my boyfriend leprechaun hats. 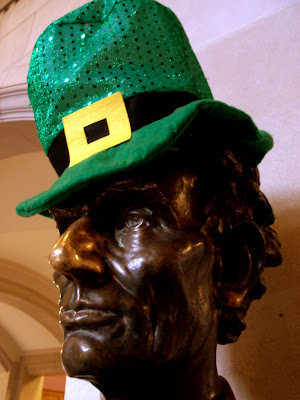 A. also received an over-sized, gaudy bow-tie that matched my hat. 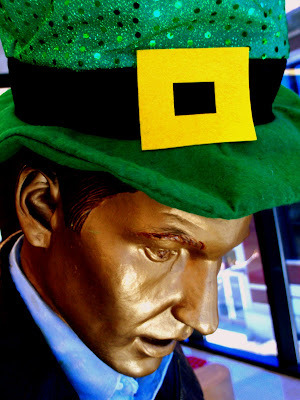 I received beaded necklaces, complete with attached shamrocks. 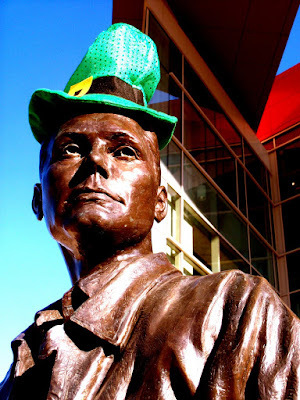 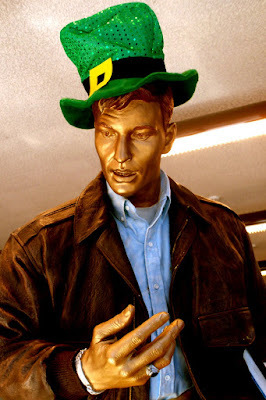 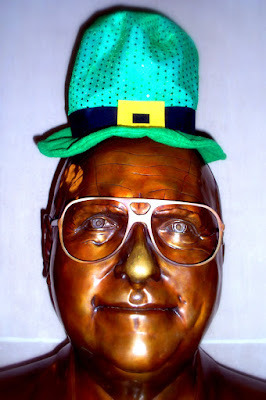 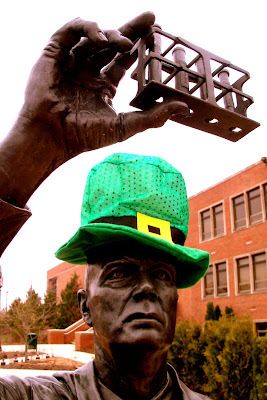 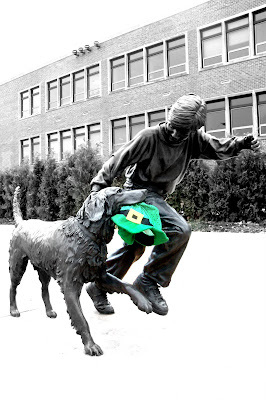 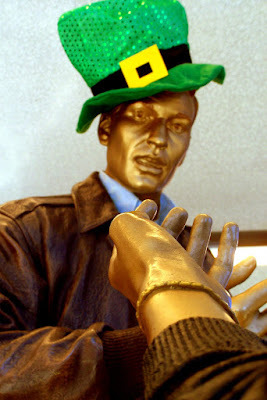 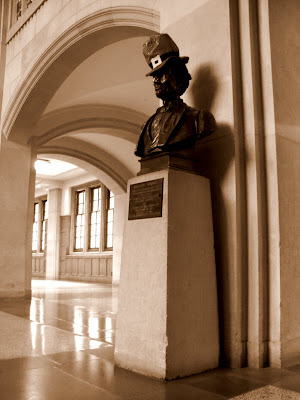 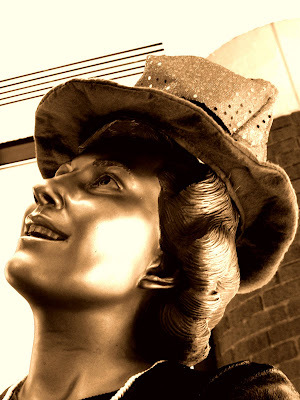 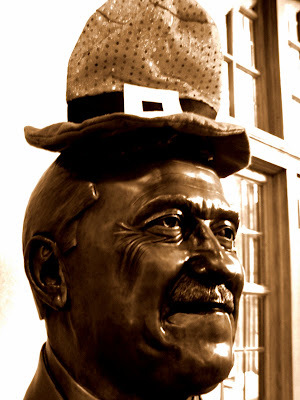 To entertain my mother (and amuse myself, for that matter), I thought I would take some pictures of my leprechaun hat on some of the statues around campus here at Purdue. 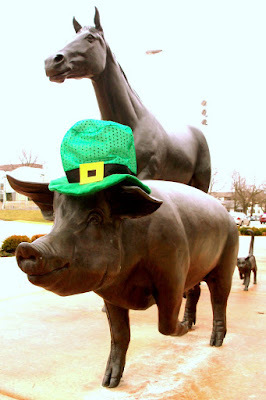 These last few were taken in front of Lynn Hall of Veterinary Medicine.